Looking for a unique Mother's Day gift or just love being immersed in nature? 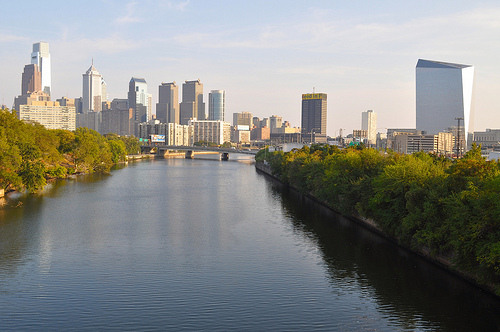 Join Bartram’s Garden on Sunday, May 5th aboard the Liberty for a cruise down the Delaware River and up the Schuylkill River to discover Bartram's Gardens headquarters, a hidden jewel of the Fairmount Park System. Visit the home of America's first great botanist, John Bartram. This five-hour excursion includes a three-hour stop at Bartram's Garden with a guided tour of the newly restored 1731 house. Bring your own picnic to enjoy in a natural meadow with amazing views of Philadelphia's skyline and explore the historic garden, community farm, and recreational trail. A cash bar is available on board the Liberty serving beer, wine and mixed drinks during the cruise. One drink ticket per person is included. Seating is very limited, tickets will sell out quickly. Buy tickets online here.